Located in a landmark building that once housed Greenwich Savings Bank, Gotham Hall is an iconic Midtown event space. 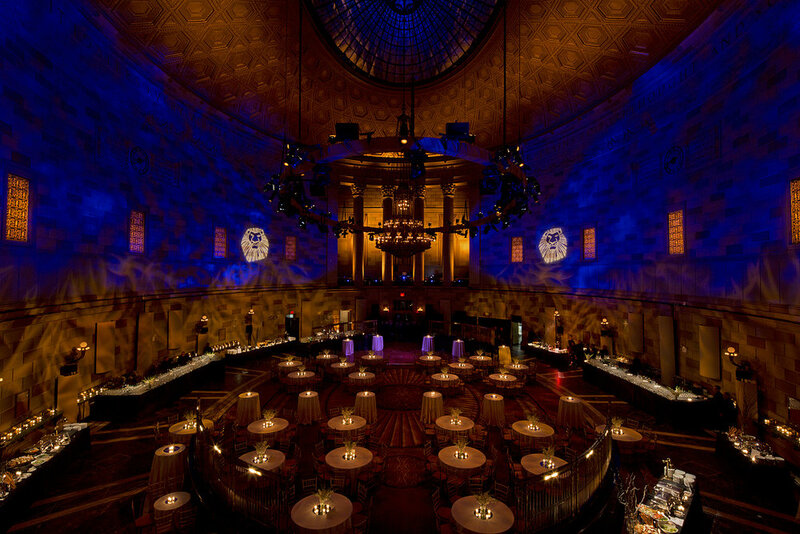 Gotham Hall features a 9,000 square-foot Ballroom with 70-foot ceiling and an ornate stained-glass skylight. From elegant social events to corporate gatherings and non-profit galas, you and your guests will enjoy the uncompromising attention to detail and exceptional personal service of our event coordination. Whether a grand celebration or an intimate gathering, our event planners will work with you to ensure that your occasion is distinctive and remarkable. Because we only host one event at a time, you can rest assured knowing that your event will be intimate, private, and that all of the details will be tended to so that your event will run smoothly from start to finish. You can rely on our efficient event management team and our exclusively recommended vendors to customize an event that will satisfy even the most discerning tastes. Constructed in 1922-24 as The Greenwich Savings Bank building, the imposing new headquarters was to mark this institution’s progress from its modest Greenwich Village origins to a prominent midtown location, is one of the refined examples in the impressive corpus of bank buildings from the firm of York and Sawyer, both architects, initially employed by McKim, Mead, & White. The round plan, covered with a dome, was an ancient Roman innovation and a form often repeated subsequently. In this country it was employed by Jefferson, Bullfinch, Larobe and Strickland Town & Davis’ Federal Hall (1834-1842) at 28 Wall Street is a good example. 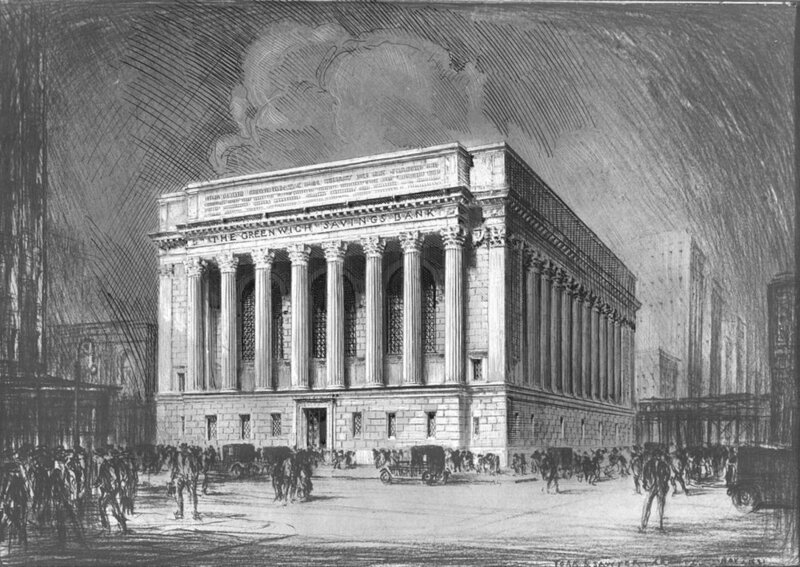 Philip Sawyer would have known the banking hall of Isaiah Rogers’ Merchants’ Exchange (1836-1842) at 55 Wall Street, the great dome of which McKim, Mead & White replaced with an upper addition for the National City Bank 1907. Greenwich Savings Bank remained in the building until 1980, at which time it became several other banks as it changed owners. The building was bought in 2000 by Haier American for his corporate headquarters. They subsequently lease space to the venue now known as Gotham Hall. Gotham Hall management team is made up of seasoned professionals with many years in hotel, restaurant and venue management.